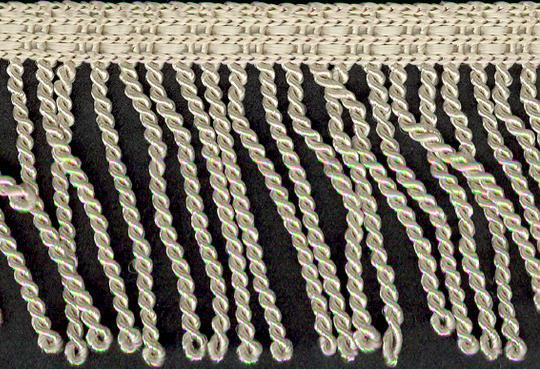 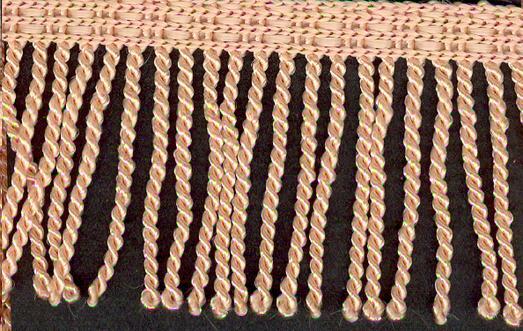 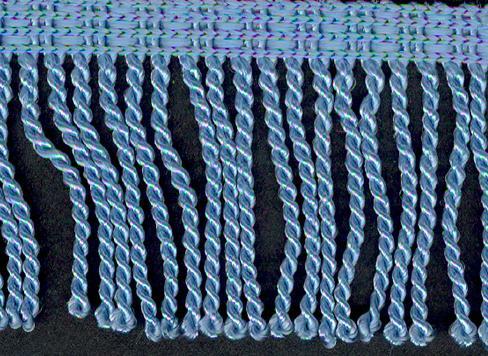 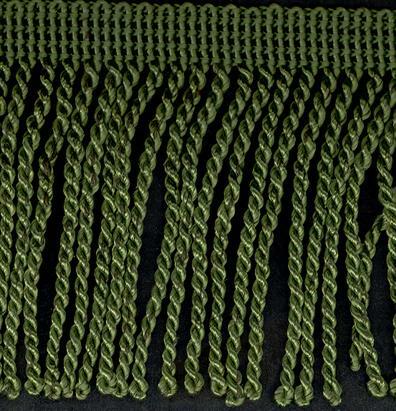 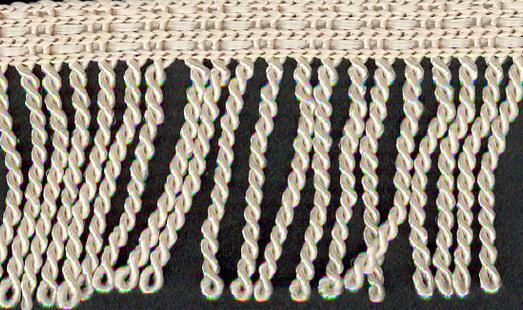 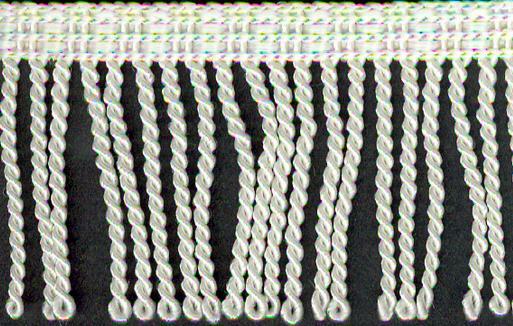 This style of fringe is a decorative heavier rayon loop fringe with a twist. 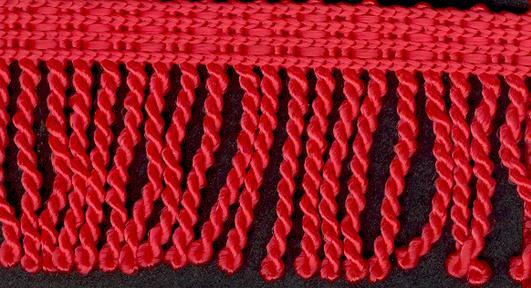 The fringe is colourfast and dry cleaning is recommended. 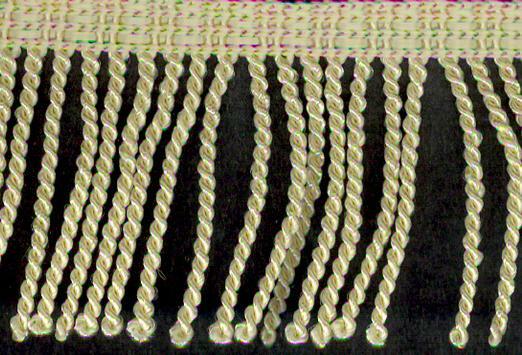 It is extensively used in home decorating, adding a touch of olde world charm to curtains, cushions, bolsters, throws, bedspreads and table covers. 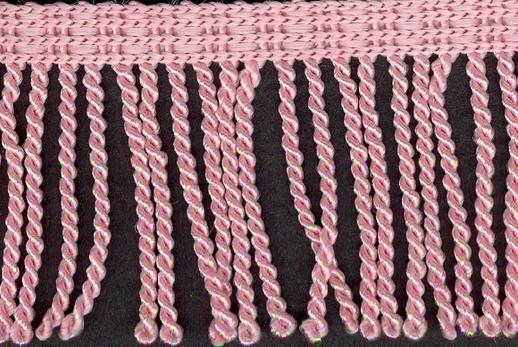  It has applications for theatrical decoration and church alter cloths and robes.